To start I should note that your own experiences may vary. I am very hard on my nails. I don't wear gloves while cleaning or washing dishes. I also have baths a few times a week, so my nails are subject to a lot of water and cleaning products. So there were good and bad for each type, so I will tackle each one individually. 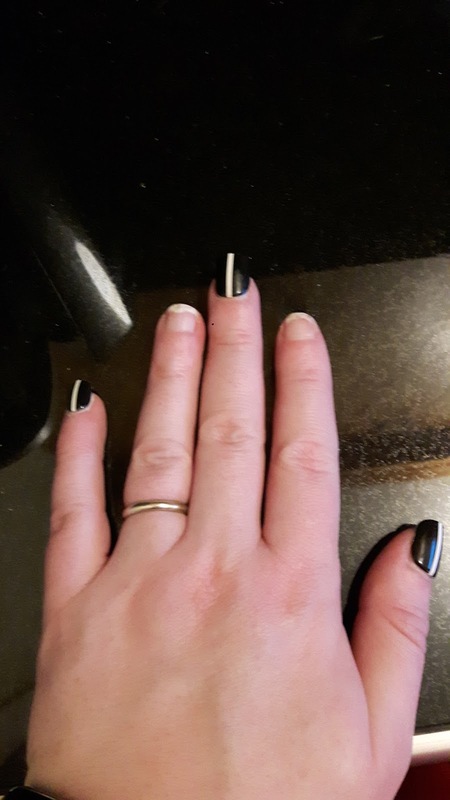 These were the nails I got the most compliments on for the design. The sizing was clear and it was easy to locate the same size nail. Nails had numbers on the back to let you know the size. So if you found the correct size for one thumb, you didn't have to keep measuring, you just looked for the nail with the same numbering on the back. They chipped at the tips relatively quickly. The black colour made it more noticeable. The adhesive was not very good, I had 3 nails fall off within 3 days. 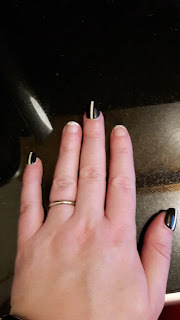 I had to stick them back on with nail glue, but even at that, they weren't on a full week. Of all the nails I bought, these were the most expensive. They were approximately $15 when I bought them (January 2017). 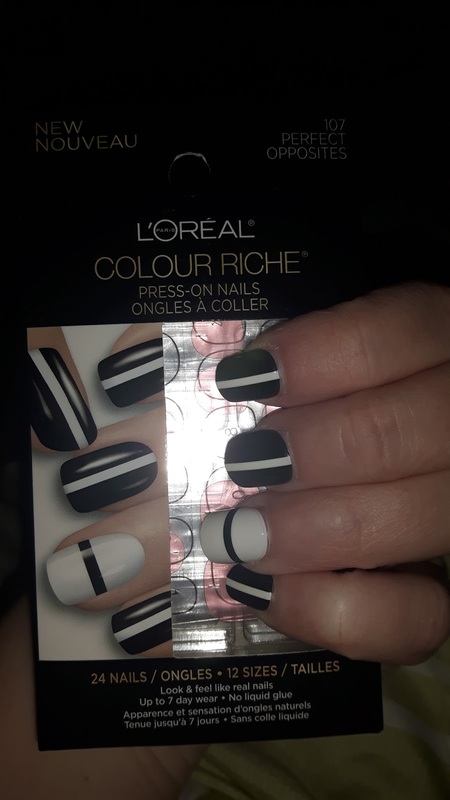 These were the most inexpensive of the nails I tried. Purchased in January 2017 for $10. You could purchase them in a variety of lenghts. 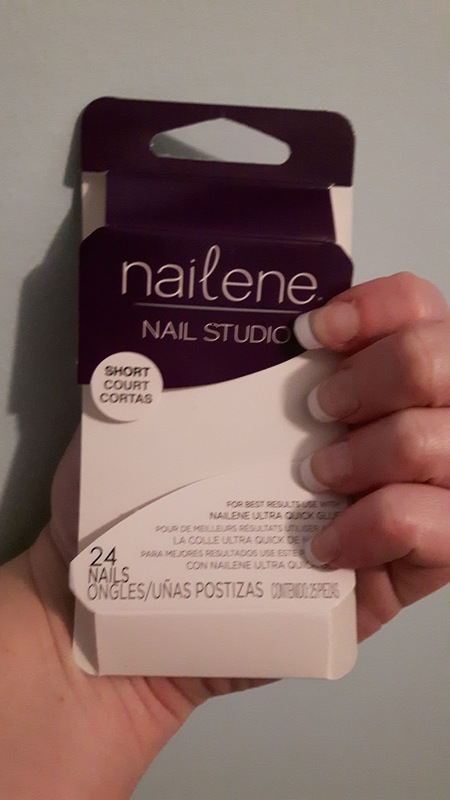 This is a nice feature because I like my nails short, and it is difficult to find press-on nails that are not really long. I chose the "short" nails for this review. They lasted just over a week for me. These do not come with any adhesive pads or nail glue, you must purchase that separately. The Nailene nail glue was $1.50. If you don't take the nails off yourself, if they break off, it is particularly hard on your nails. My nails were a mess after this set. There was a lot of variety in the way of designs. Everything from simple French, to some wild patterns with fluorescent colours. Lots for everyone to choose from. The adhesive pads are on the press-on nails, no separate adhesive to fiddle with, no glue. These were the easiest to apply. These were the nails that lasted the longest for me. I had them on nearly two weeks with no issues. The only time I had one fall off is when I caught it on my car door, but I stuck it back on with nail glue. Easy to take off. The adhesive is flexible, it doesn't rip at your nail. Once the nail is off, just put some nail polish remover on the remaining adhesive and it comes off easily. Price at time of purchase, January 2017, was $11 regular price, and I got them 25% off. Bonus! Nothing. I honestly loved everything about these nails. The picture doesn't do these nails justice, they were seriously gorgeous. These nails had a ton of really beautiful designs. Very elegant. 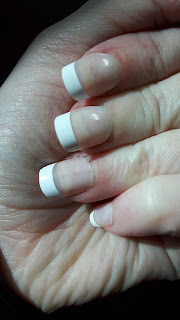 The adhesive pads that came with the nails worked well, I kept these on for a week with no problems. The price was similar to imPRESS at $11 to $12. 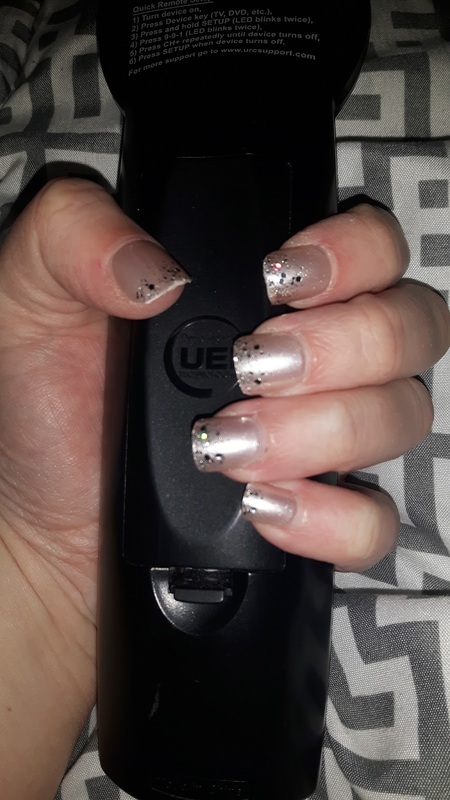 The nails seem to come only in one length, which are longer than I'm accustomed to, so I had to file down quiet a bit, and the design I chose had sparkly tips, so I ended up filing off a lot of the sparkle. So, which were my favourite? The imPRESS nails, which was probably obvious by my comments. They were followed closely by the Kiss nails. 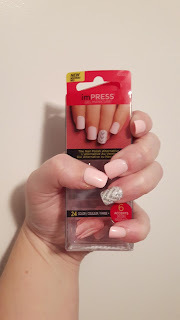 Have you tried press-on nails? Do you have a favourite brand? 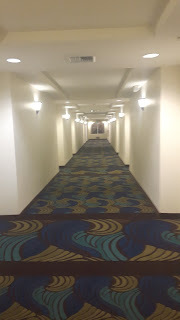 Good experiences? Bad experiences? 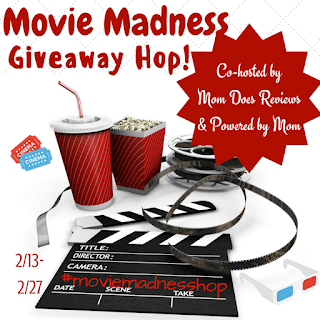 Please share in the comments! 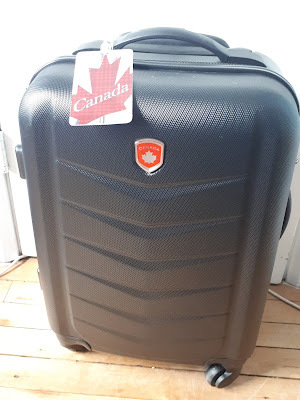 Note: All prices quoted in this article were at time of purchase, January 2017, at WalMart in Saint John, New Brunswick, Canada. Prices may vary at your local stores. I was not sponsored or paid for this post. All views and opinions are my own.